Sweet almond oil (INCI: Prunus Amygdalus Dulcis) has been around for centuries – definitely long enough to establish itself as a common and widely used carrier oil. Documented domestication of almonds dates back as far as 2000-3000 BC! Sweet almond oil is characterized as semi-fatty (read: it spreads easily and evenly, and has a semi-slow absorbtion rate on the skin). This makes it ideal for most skin types and multiple uses. Coupled with it's relatively neutral smell, ability to mix well with other oils, and general stability when heated, it is an ideal ingredient for face creams and body lotions. Because of it's relatively slow absorbtion rate, it functions beautifully as a massage oil. It also does very well combined with fattier oils for winter-protection creams. Sweet almond isn't even among the priciest oils, and is therefore one of the plant-based oils that is relatively ideal for mass production. It still costs considerably more than mineral oil (which continues to be the first choice of the majority of commercial cosmetics companies), but I have actually noticed an increasing number of commercially made cosmetics with prunus amygdalus dulcis listed among their ingredients. Admittedly, it is rarely placed as high up on the list as it could be, but hey, it's a start! As with many other products, there are different grades of sweet almond. Remember, the INCI name is exactly the same on an ingredients list, regardless of the source, so you can't see from the label whether the oil is organic, cold pressed or refined. (For an extreme example of this, please check out the article on squalane). The almond oil I use in my creams and stay-on products is cold-pressed and 100% organic. In body scrubs, I use a non-organic oil (unless it is specifically requested). 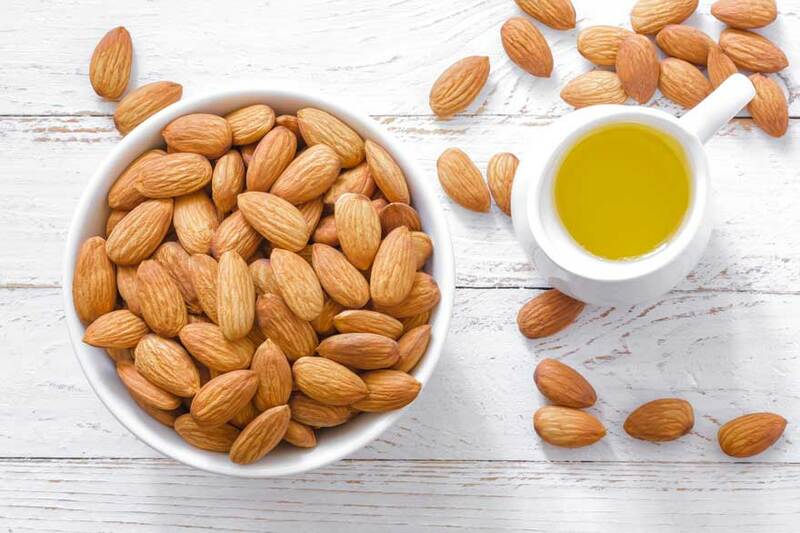 Because it is so common, I do have a tendency to pass over sweet almond oil for more exciting, exotic, and new-to-the-market offerings when I am creating a new product. However, every time I get back to it, I am pleased to rediscover it's many merits and promise myself to be more faithful to it! Are you a fan og almond oil?